So make sure to bookmark this spot and come back for our The Voice recap between 8 PM – 9 PM ET! 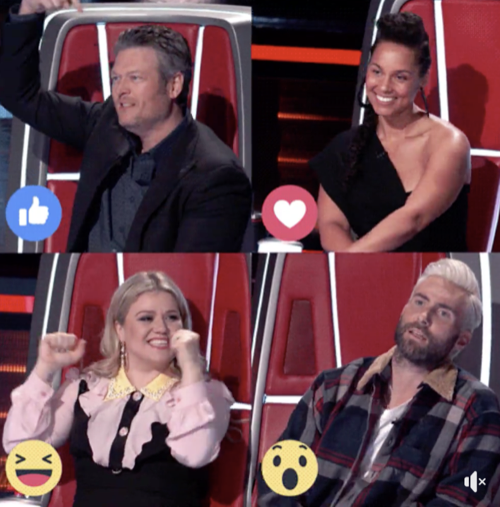 While you wait for the recap make sure to check out all our The Voice spoilers, news, videos, recaps & more, right here! Tonight’s The Voice recap begins now – Refresh Page often to get the most current updates! Kelly: “Jamella you do bring more and more A game, you have an emotional connection that you cannot teach people when they are singing. Brynn I was so excited with you song choice. You both did a good job.” Kelly announces that Brynn is the winner of this knockout. Blake’s pairing is next and it is Jaron Storm vs. Pryor Baird because they are solid performers and have amazing stage performance. Chloe Kohanski is the adviser, Jaron is singing, “Grenade,” by Bruno Mars and Pryor is singing, “Will It Go Around In Circles,” by Billy Preston. Blake: “Jarod you like to move around on stage but sometimes it seems like you are just trying to release some nervous energy, maybe you should try to get the movements out vocally. Pryor I noticed that it is hard for you not to start at the top of your range and this song, you dialed back and it really paid off.” Blake announces that Pryor is the winner of this knockout. Alicia’s pairing is next, it is Christiana Danielle vs. Terrence Cunninham and Chris Blue is advising. Christiana is singing, “Elastic Heart,” by Sia and Terrence is singing, “Tell Me Something Good,” by Chaka Khan. Alicia announces that Terrence is the winner of this knockout. Alicia uses her one and only save for Christiana. Kelly hits her steal for Christiana. Adam hits his steal for Christiana. Christiana gets to make the decision, she chooses to remain with Alicia.